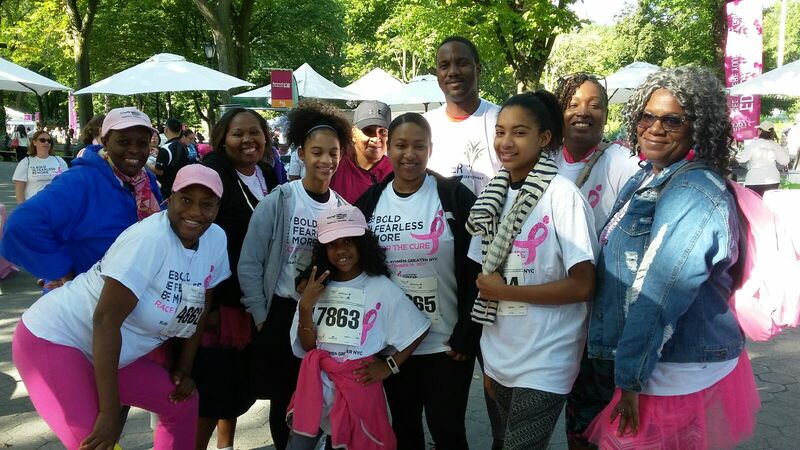 On Sunday, September 10th, The Family Center teamed up with Susan G Komen for the Cure, Greater NY Affiliate to run breast cancer out of town in the 2017 annual Race for the Cure. Our team of over twenty walkers and runners included staff, peers, supporters and even youth members! The Family Center also had a presence at the Education Expo, where Susan G Komen graciously allows its grantees to share information and materials about their services and resources. 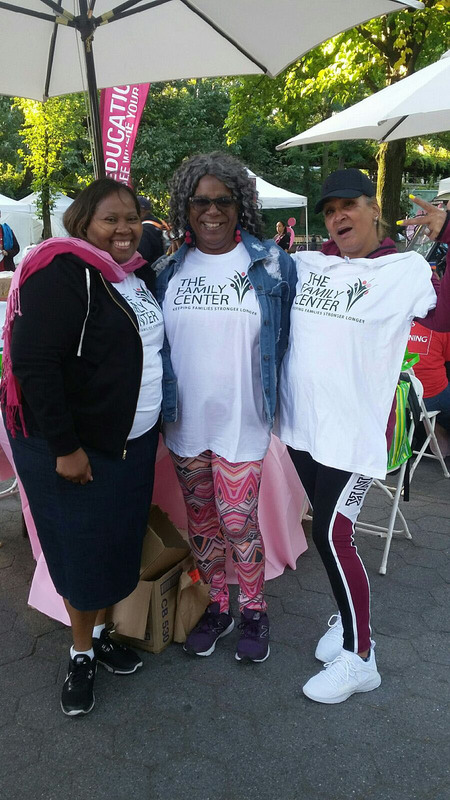 The Family Center is honored to be a long-time grantee of Susan G Komen of Greater NY -we could not ask for a better partner when it comes to supporting the NYC women, children and families, whom we serve, with social, legal and health services. We are especially thankful to our tireless Team Captain Vivian, and Jennifer of the Healthcare Education Project, which generously donated boxed lunches for our tired-yet-still-spunky team! Thanks also to all the donors who supported our great team!